Good Friday – the day that Jesus died on the cross – is, from a Christian perspective, one of the most important days in history. A sinless man bore the sins of the world; he suffered and died so that the guilty may be free. The journey that Jesus went through to crucifixion and its significance are profound. Each of these characters had to make a decision when they encountered the cross. In reflecting on the failings of these characters, we were provoked to ponder on how we may respond when faced with a similar decision to make. But more importantly, we were also led to a deeper appreciation of the significance of Good Friday, that in spite of our weaknesses, Jesus died so that we may live. 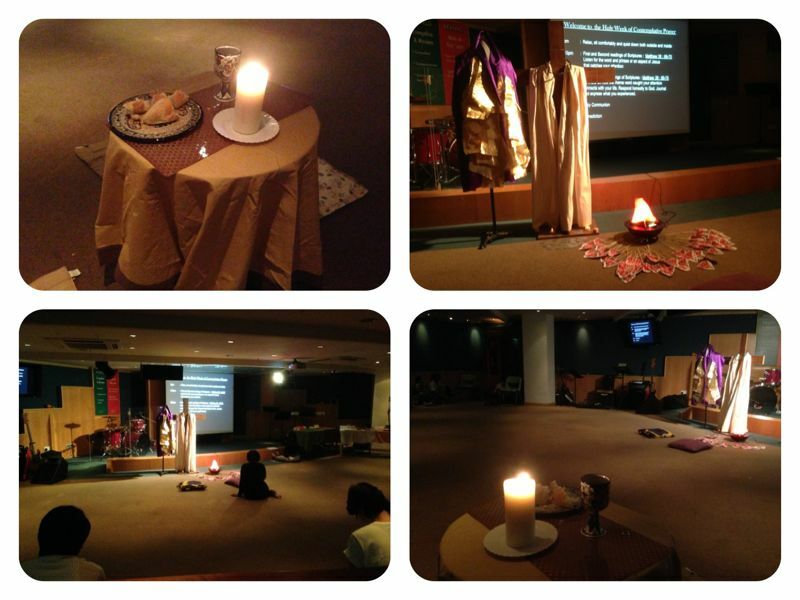 “Being new to the Christian faith, I attended the Holy Week of Contemplative Prayer with no real expectation. However, I came out of the session with renewed purpose in life, as well as having a greater sense of self-awareness. The prayer session was simple and direct, yet powerful and enjoyable. I have learnt to take a step back from my hectic lifestyle, to sit down and self-reflect on the greater meaning of life, and how I can assist those in need further to glorify our Heavenly Father.